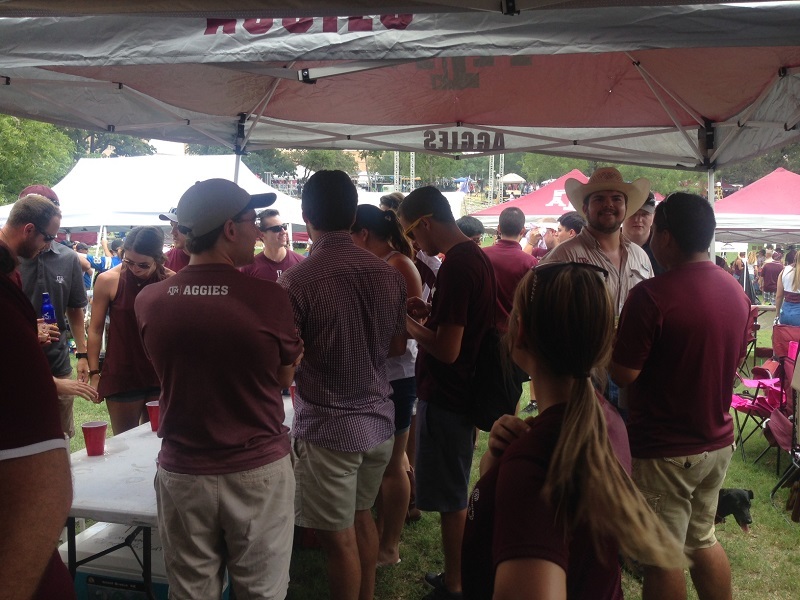 Two geology and geophysics organizations, AAPG and the Texas A&M Geology & Geophysics Society, host the department Tailgate. Every Texas A&M Home game has a tailgate with food and water provided, as well as some games. The tailgate location is right across the “Saw ‘Em Off” statue across from Kyle Field. Current and former students, faculty, and staff are welcome! Click here to view pictures from our last tailgate!